OnePlus X , the new war horse of OnePlus finally launched featuring Qualcomm Snapdragon 801, 5”-Inch Full HD display, 13-MP+8-MP Camera. OnePlus X Onyx variant will be available from Priced at Rs. 16,999 while OnePlus X Ceramic variant will be available from 24th Nov for Rs. 22,999 through Amazon with Invite system. While It’s predecessor OnePlus One is available in India at Rs 18,999 for 16GB in Silk White and Rs 21,999 for the 64GB in and OnePlus 2 is available at Rs 24,999. The all new OnePlus X supports Dual-SIM( Micro-SIM) comes with a bigger 5-inch full HD display and Corning gorilla glass 3 will run on Cyanogen 12 OS based on Android 5.1 Lollipop OS powered by a fastest Qualcomm Snapdragon 801 processor with 3GB RAM, 16GB ROM and 128GB MicroSD card slot. 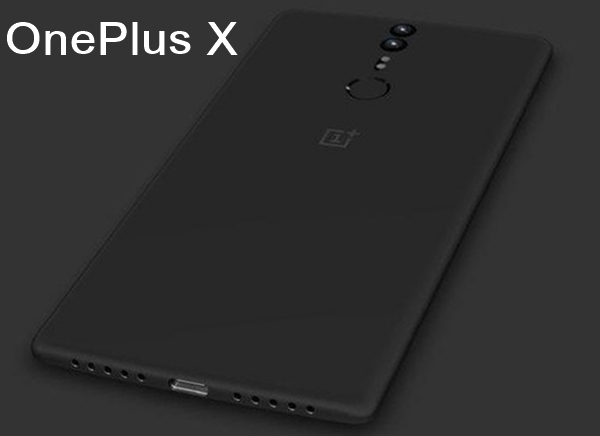 OnePlus X will sport a 13-MP Rear camera with LED Flash and 8-MP front camera for video calling and selifi powered by a powerful 1525mAh battery will offer connectivity through 4G LTE, Wi-Fi 802.11 a/b/g/n/ac, Bluetooth 4.0, and NFC. At last few honest word, OnePlus X is coming to rule the smartphone market. What you think? Please stay tuned for more updates.